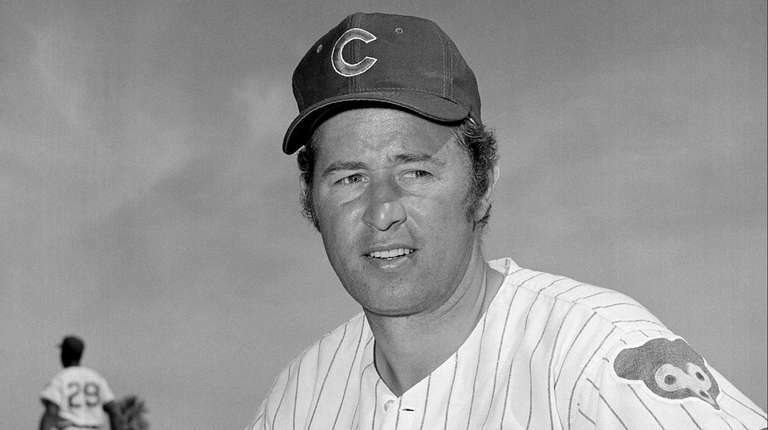 For years, Ron Santo knew only anguish on Hall of Fame announcement days; it finally came a year after he died. “Bittersweet” does not begin to describe the emotion Vicki Santo experienced from her husband’s greatest honor. One year and two days after Ron Santo’s death, his widow received the call for which he had been waiting all of his life. And she is more emphatic than ever about the power of “the call,” the one that summons a baseball person to Cooperstown. That call, which arrived Tuesday for Mariano Rivera, Edgar Martinez, Mike Mussina and the family of the late Roy Halladay, changes everything. It casts new luster on a baseball player’s past and dignifies his future, elevating him forever to the status of Hall of Famer. There was a bittersweet aspect to the announcement Tuesday, too. Halladay, the star pitcher who threw a postseason no-hitter, was killed in a 2017 plane crash. Like Vicki Santo, Brandy Halladay took the call that her husband had earned and relished. “His goal was to be successful every day of his 16-year career,” Mrs. Halladay said in a statement Tuesday, speaking also for the couple’s two children. “Tonight's announcement is the end result of that effort. If only Roy were here to personally express his gratitude for this honor, what an even more amazing day this would be. “ I would like to extend special thanks to the baseball writers for the overwhelming percentage of votes that Roy received in his first year on the ballot,” she said. “It means so much to me, Braden and Ryan." Santo had Type 1 diabetes in an era before glucometers. He just went by how he felt physically, some days trying to moderate his blood sugar with orange juice, some days with a candy bar. Bottom line, he always was dejected about not getting the nod from the writers or the Veterans Committee. His chances had looked so good in 2003, Vicki said, that media people came to the house to capture the celebration. But the phone never rang. She and Santo’s three middle-aged children tearfully considered it vindication when the call finally arrived. 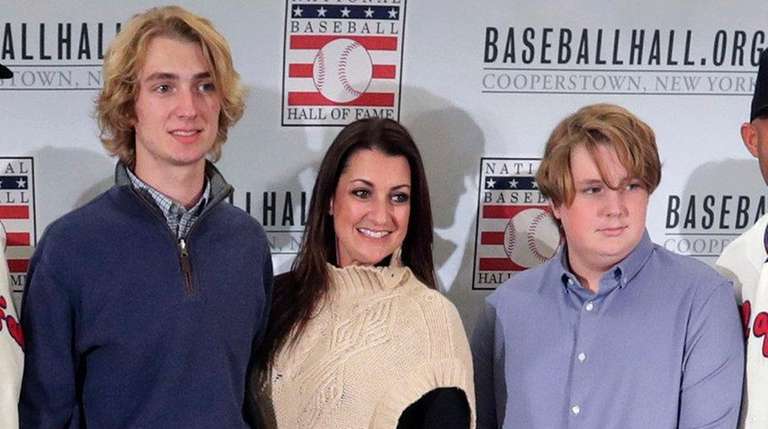 Ultimately, the daughter and two sons were proxies for their dad at the pre-induction news conference at Cooperstown the following summer. Vicki gave the acceptance speech. It was a glorious weekend, as it always is in the little town that houses the Hall. The induction ceremony officially confers the honor. Plaques are unveiled, families are treated like royalty. But it’s during the wintertime call when it all really hits home. Recalling it last week, the former Yankee said in an email, “It was my last year of eligibility on the [BBWAA] ballot. I was nervous when the phone rang and had difficulty pressing the answer key. I felt immediate happiness, joy and relief, not only for myself but for my family as well. I was numb. What made it so profound was that, year after year, Raines knew that other players were having their names announced and enjoying the elation. There were times he never thought his call would come. Even for players whose enshrinement seems inevitable, it never seems quite real until the moment of the call. Then it seems surreal. “It was one of those once-in-a-million scenarios I personally never dreamed of,” said John Smoltz, Hall Class of 2015. “I had never thought about playing a sport and trying to enter a Hall of Fame. I was pretty skeptical that day, even though a lot of people around me thought the call would come. The call always produces an instant welter of feelings. Vicki Santo can empathize as much as anyone can with the Halladay family. She knows how Tuesday was for them. But she can attest that the call from the Hall is beyond description, even when it comes too late. “I just believe the timing is as it’s meant to be,” Vicki Santo said, adding that she was honored to stand on that stage in Cooperstown. “It was beautiful be able to let people know the real Ron. If he were still alive, he would have talked about coming up, who he played with, which is what they all do and which is what they should do. But I was able to tell what a great person Ron was. “I still miss him every day,” she said, nonetheless joyful that, because of that call, the Hall of Fame no longer has to miss him.